If you couldn't tell from my blog name, I love my Phamly to bits. Sadly, love can't keep your loved ones alive in the flesh forever. Mum Pham's passing has been the most heart breaking experience of my life. Fortunately for me, she raised us kiddies to be strong, grounded and to be there for The Phamly. Right now I'm being completely emo and mopey to my beloved friends but I won't tell you about that 'cause it's private. Lucky for you, they get my snot and tears while you get some of my favourite photos of Mum Pham. 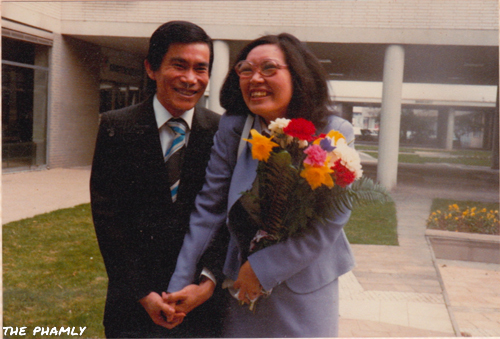 This is Mumma Pham and Daddy Pham on their wedding day. I pretty much have Mum Pham's face so this will be me in 8 years. Hopefully I won't be marrying my own father but maybe I'll tell a fart joke and we'll both laugh like it's the best day ever. 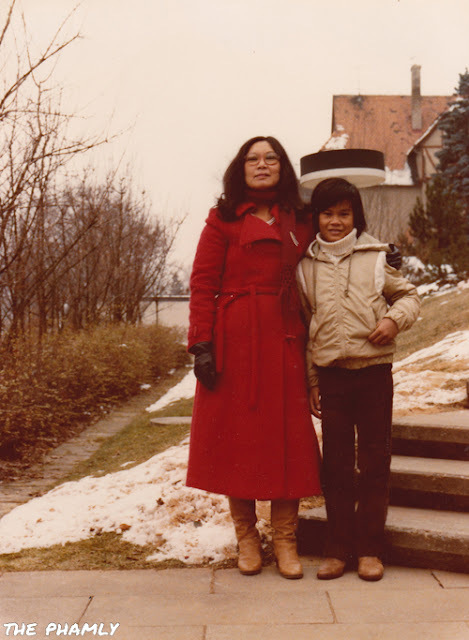 This is Mum Pham with one of my German cousins (German in locale, not blood heritage). I don't know his name. There are lots of cousins, I lose track. Let's hope he doesn't know my name either so he will never find my blog and see that his idiot cousin is not only an idiot but an idiot that doesn't know his name. At some point, kids happened and Mum Pham got a bit chubby. She hated being in photos in her later years so I won't share them with the Internet. 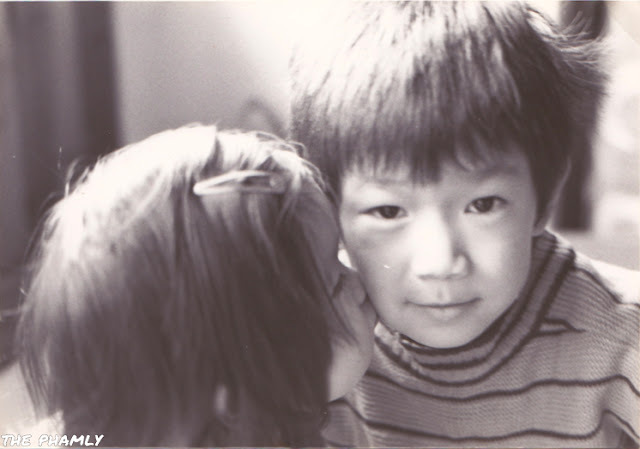 Instead here is one of Mum Pham's favourite photos of me with Big Brother Pham. 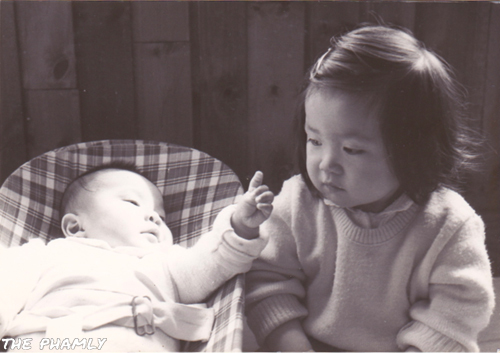 This is another of Mum Pham's favourites and probably one of Little Sissy Pham's favourites too because it's the only time in her life where she got to boss Big Sissy Pham. 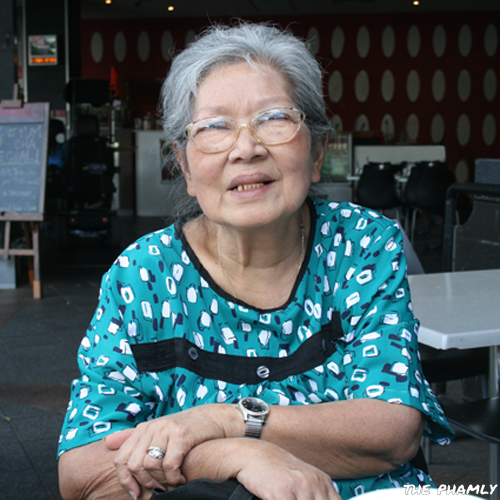 This last photo is of Mum Pham at yum cha. It was a happy day. One of the happiest I can remember. I was up visiting so the whole Phamly was together. Grandchildren were healthy and happy, running around playing and laughing. The sun was shining and everyone dressed nicely for the rare occasion where Mum Pham didn't have to cook. She hardly ever let us take her out for food because it's too expensive. We usually didn't argue because Mum Pham's cooking is the best in the universe. Still, it's nice to treat your mum every now and then! It makes me happy to know I'll be a cute little old Asian lady like Mum Pham one day. 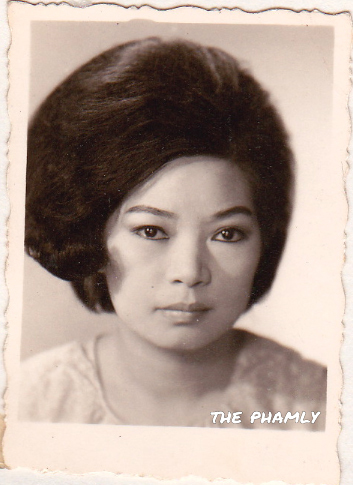 Thanks for sharing your beautiful genes and BIG love, Mummy Pham. I'll live the best life I can to honour your gifts.